How would you rate your experience with FITBIT ? 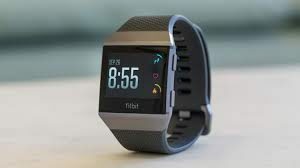 FITBIT was founded by current-CEO James Park and Current-CTO Eric Friedman in 2007 with the aim to create a wearable product that would change the way we move. The company designs, produces, and markets devices that track fitness performance. Popular models track the number of steps taken per day with a device worn on the wrist that resembles a watch or bracelet. Data measured include also the quality of sleep, steps climbed, and other personal metrics. FITBIT has offices in San Francisco, Boston, Dublin, Hong Kong, Shanghai, Seoul, Minsk, New Delhi, and Tokyo. In January 2017, Fitbit acquired Romania-based smartwatch startup Vector Watch SRL for $15 million. In April 2017, a female customer claimed her Fitbit Flex 2 malfunctioned and caught on fire, causing second-degree burns on her arm. Following an investigation, FitBit states that the cause of the exploding tracker was due to external forces, and assured its customers that their products are safe to wear. The company released its Fitbit Ionic smartwatch in October 2017 for $300. In 2019, the company announced its first business to business product, the Inspire, which is only available through employers who offer health insurance. FITBIT is #53 in the 2015 Inc. 5000 list of Fastest-Growing Private Companies in America with a three-year growth rate of 5,075%. The company has 579 global employees and had $745.4 million in revenue in 2014. Question 1: What is the phone number for FITBIT? Answer 1: The phone number for FITBIT is (415) 513-1000. Question 2: Who is the CEO of FITBIT? Answer 2: The CEO of FITBIT is James Park. Question 3: Who founded FITBIT? Answer 3: FITBIT was founded by James Park & Eric Friedman in 2007. I purchased a Charge 3 from Amazon in November of 2018. It is now April of 2019, well within the warranty period of my device. I have contacted Fitbit (Wherever their call center is…central america, or perhaps the Phillipines), on numerous occasions about this device. Several time it was about the device not syncing. Today, it was about inaccurate recording, specifically steps. I told the representative that not only, in one day’s time, had it over-recorded my steps by approximately 2000, but that it was recording steps when it not only was not on my wrist, but was sitting dormant on a shelf above my desk. After having listened to 2 people read their script to me, about the fact that it would be ‘investigated’, I asked for a phone number in the United States, and was told there is none (which is a lie, corporate HQ is in San Francisco). Calling that number – (415) 513-1000 – I got a voice mail to leave a message, but the box was not accepting new messages, as it is “full”. All I want is to submit a claim for a defective device, and get a new one that actually works. They will not give me any information on how to pursue that claim. I will file a formal complaint against them. Prior to today any time that an issue could not be resolved after trouble shooting with devices, I was sent a replacement. After calling customer service three times and being advised to call back after all troubleshooting attempts has been exhausted, I was told by the customer service representative “Milton” that I would not receive a replacement Versa tracker and that the technicians were looking into the issue. There was no follow up time frame or explanation other then “ there is nothing wrong with your phone.” I am extremely disappointed with the way that this issue was handled, and I wont be making another future purchases. My Fitbit account was hacked and I am locked out. I received an email stating my email on my account was changed. I immediately contact them to tell them I did not authorize any changes. They said they would look into and it has been 24 hours and not a thing has been done to give me access back into my account. I have no estimated time to repair, no status as to what is being done. I have not been contacted by anyone. When I call Fitbit the only response I get is “it has been escalated to Security and we will let you know when it is fixed” They will not allow me to reach out to security or give me a contact so I can check on the status of the issue. I find that extremely unprofessional and unacceptable. Unless this is fixed very soon, I will return my Fitbit. I’m sure Apple has a better customer service/support department. VERY UNHAPPY FITBIT VERSA OWNER!!!!!! Hello, I purchase a Fitbit Versa from Amazon , Worldwide Distribution. It arrived January 3, 2019. I work in a office and bumped the watch face against a file cabinet and it chip the edge and the screened with a screen protector on it. I contacted Worldwide Distribution and below it their response. This unit was shipped to you brand new and factory sealed straight from the manufacturer. We are sorry to learn you are experiencing an issue with this unit. We will appreciate you take a moment to contact the manufacture tech support regarding this issue, they will be able to assist you at no cost to you, since the unit is under manufacture warranty. So I contacted Fitbit Tech Support and I was told that by customer service and a supervisor that basically it is my fault and there are many other person that wear this watch and don’t have any issues. It appeared as they were reading from a script, same words and phases. This statement about no other customers having this issue is untrue. When I did a search about replace faces, there were Fitbit Versa “several” with the same complaint. Why would you make a watch that had would break so easy with a screen cover on it to protect it? Are you not suppose to wear it everywhere, it that part of the purpose? The watch should be able to handle some bumps without breaking. You’re setting your customers up for failure and cheating them out of the hard earn money. I can’t even get replacement face cover. They don’t make them. Are you kidding. Even the cell phone companies make replacement screens!!!! I will keep posting my experience everywhere until I am satisfied. I ordered a Charge 3. It was supposed to be here on 10/06/18. it hasn’t been scanned since it was in the warehouse. I called customer service and they said I have to wait until 10/18/18 before they can send me another. Why are we waiting? Send one Fed-Ex and stop the other one that has disappeared. You took my money along with the cost of extended warranty. order#334AXE7BW. I also ordered a separate charger and a extra band. Surprise they arrived on time.Every morning I look at the tracking and it says it’s still at the warehouse. My Fitbit is 16 months old. I have bought 3 replacement fitbit bands because they fall apart…the last one is less than 2 months old and is also falling apart. Customer service rep and a supervisor said to bad.. not a warranty issue. Go to our site and you can buy a new one. Great customer service….NOT. Will be looking for something different…..amazing they are willing lose a customer over a replacing a $30 defective band. A dissatisfied customer will cost you a 150 more.. with my career speaking to over quarter of a million people yearly I will gladly give Fitbit free advertising. Letting others know Fitbit does not understand customer service or care about customers. I have owned an Aria scale for a while now. It has been having problems not shutting down, and I have just ignored it and left it dead for long periods. After reading some reviews, I find out this is common with this scale. It has a 1 year warranty. I think this is a very expensive scale to replace on a yearly or longer basis. I can buy a cheap electronic scale which I still have for over 15 years that still works and tells me the weight accurately. When I spoke to customer service, they told me it was out of warranty and I would have to purchase a new one. I asked if they would offer a discount as it is not within the warranty period, but should last longer than it has trouble free. I will be posting on every site and social media outlet I can find to place a bad review for this product. I have two other fitbit products which I like, however I will be returning to a normal scale. The body fat sensor hasnt worked for even a longer time it just comes up with a question mark. I think from now on I will stop using all fitbit products and change to another brand, since they will not stand behind their product. They told me it was an electronic device and you can not expect it to last that long. In that case I may as well throw out all of my electronic devices that I own and have died with normal use. Sorry for the rant, but the scale is too expensive to be a piece of garbage. I just received a new fitbit blaze as a replacement for my device that was losing its charge. The customer service representative name Mary wanted me to charge the device for a week to determine the problem after my App is clearly disclosing that the device is not holding charge beyond 3 days. Then I spoke with Kelly operator number 24771139 who basically offered me three options one cheap charge it fully sync it five times a day for one full week to determine if there was a software problem or it was a battery problem to send it back shipping on them and they would go ahead and send me a replacement one and in the meantime I wouldn’t have any options of using my fit bit tracker but then she would show me how to use my phone as a tracking device or three refund and send me a replacement for last one which I still have a warranty for till July of this year. This is a brand new device which I took out of the box and installed on May 2, and these are the options. I am a palled at the customer service. I have been a part of your fit bit client group for about three years now actually maybe 3 1/2. This is absurd! Then I spoke with Kelly operator number 24771139 who basically offered me three options one cheap charge it fully sync it five times a day for one full week to determine if there was a software problem or it was a battery problem to send it back shipping on them and they would go ahead and send me a replacement one and in the meantime I wouldn’t have any options of using my fit bit tracker but then she would show me how to use my phone as a tracking device or three refund and send me replacement for last one which I still have a warranty for till July of this year. This is a brand new device which I took out of the box and installed on May 2, and these are the options. I am a palled at the customer service. I have been a fitbit client for about 3 1/2years. This is absurd I need someone from corporate office to contact me at ablahiri@ gmail.com for a more sensible solution! Hello do not buy any products from fitbit they DO NOT STAND behind their warranty. I bought a fitbit ionic in oct of 17 it is cracking underneath by the charging receptors and outward toward the sensors. I called them and they said I’m sorry this is not covered by the warranty which states your product will be covered and be free of mechanical defects FROM NORMAL USE for the period of 1 year..hello not even 1 year and its cracked on the back from NORMAL USE I WEAR THE WATCH DAILY that’s what its for. so 2 techs and 1 supervisor later AUGUSTO, SIMON, AND DEAR IVAN say IM SORRY BUT THIS TYPE OF DAMAGE FROM NORMAL USE IS NOT COVERED BY WARRANTY. So my advise to all is to skip buying a FITBIT and buy a GARMIN because FITBIT does NOT stand behind their so called warranty. Although they did say they would give me 25% off of a new 300.00 watch OH HELL NO I ALREADY SPENT 300 dollars thanks but no thanks. PLEASE SPREAD THE WORD THEN MAYBE FITBIT WILL STAND BEHIND THEIR PRODUCT BECAUSE AS OF 4/14/2018 THEY DO NOT. Case#24356986 this has been posted to social media to show that you do not stand behind your product warranty. I bought my 77 year old mother a fitbit alta for her birthday in September 2017. It has changed her life! Prior to using the fitbit she was unable to walk more than 20 yards without feeling pain in her back and shortness of breath. Her doctors could not find a reason for her complaints – it was really just about her being deconditioned and giving up. She hardly walked at all and she was miserable. Since using the fitbit, she has lost 30 pounds in 5 months, and she walks everywhere! The first time she reached her goal and her fitbit started vibrating etc, – she called me because she thought something was wrong with it! Now, she brags about how many steps she takes and she has raised the bar on her daily goal. I only wish I had gotten it for her sooner! Why is my fitbit dasboard running ads? I did not buy this product to have look at ads. I bought it for fitness tracking. 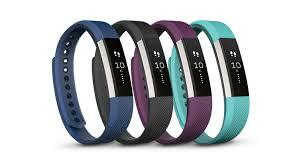 I will be returning the 2 fitbit products I bought for family members for Christmas and being certain to distribute this information as widely as I can starting with Consumer Reports. I have a Fitbit Surge which is not a good watch at all. The band gets soaked with sweat, gets bodily salt in the mechanisms plus, it seldom will take a charge. I can’t rely on it for running. It has a stuck button which looks like the winding part of a regular watch. Since day one, it has been unpredictable. I did a chat just now and they want me to upgrade ( my warranty of one year is up ) for a $25% discount. Really? No way would I buy this product again. I spoke to the first chat person then asked to speak to a supervisor. He stood by his subordinate answer. I told them I was going to write to the CEO. Which I will. I want a replacement for free. It’s not that old! Its in a repair shop now for a battery change $40.00 and they are trying to see if the stuck button on the watch can be fixed. I’m really mad. Its the principal of the thing. Plus the expense. I used to use a Polar made in Europe, of course which worked like a charm. This one is made in the USA. Its junk. We should have a class action suit! I bought a Fitbit surge two years ago. The strap began to wear away and is now torn to the point that it is no longer wearable. The company says that the straps cannot be replaced and my only solution is to buy a new unit. This does not speak very well for Fitbit quality as one would expect units to last more than two years. Customer service says you had a one year warantee so that’s all it is good for. This is an unacceptable answer and if it represents Fitbit’s philosophy, not a very reliable or trustworthy company. Will try to contact corporate offices to see if this is really their policy. I have purchased 3 Fitbit in 3 years and I now have a blaze! The notifications stopped working, I called your customer service on 2 different occasions and spoke with supervisors and managers. I sent emails it took 5 days for someone to get back to me, each time I was on the phone on average I was on hold 10-15 minutes. I was also told my case was escalated to the highest department. I WILL NEVER BUY ANOTHER FITBIT AGAIN! Your customer is Terrible! My Fitbit is under warranty and I’ve done everything to troubleshoot. Your managers talk down to the customer. The reason why companies like Apple will prevail is because they actually care about the customer and know that there product is good. Worst customer service and product! A complete waste of money and time. Is there an app available so that I may use the Iconic as a range finder on most golf courses? When I contacted Live Chat on Fitbit the person I was communicating with did not know what a range finder was. I have owned 2 fitbits and purchased another one for my partner. He has had no problems as it is still new. I however felt the customer support needs to be upgraded to support in North America or to someone who can make decisions. I emailed customer support and told them my fitbit isn’t charging properly. They told me it was…. No your WRONG! My fitbit HR does not charge at all. I checked the cord and called customer support. It’s so frustrating talking to customer support and they can’t help me. It’s been over 2 months and I asked if they could repair it or replace it. Since it is now 2 years old the warranty has expired. I purchased it from Best Buy and they told me when I buy another Fitbit to buy extended warranty for $40.00 for 3yrs or -$50.00 for 4yrs. I cannot believe Fitbit lasted me only 2 years that happened to the last one as well. I am a professional and senior and use it for walking mostly. I was given a 25% discount and told over the phone no problem I will email the discount coupon to you and you can buy another one. Great! Received the email but didn’t realize I had to buy it on line was not told this. Decided to take advantage of the offer good only for 30 days. I went in to Best Buy today and they said you need to buy it through a fitbit store on line. That is not what I was told from customer support. I called today to ask them to send me another type of discount coupon so I could buy through best buy and buy the extended warranty. I waited over 30 minutes and no one came to the phone. What an outfit! I am so upset with the service I received. I’m a professional and I give my clients excellent service or they wouldn’t refer me. call backs, support that makes you wait. So disappointed in Fitbit and their customer service. They need a new VP of Customer Service to clean up their act in North America. I called their head office and left a message Ha ….I ask myself do you really think they care? Fit to be tied unhappy customer! Surge watches was worn by my daughter and then “retired” when it was replaced with the more stylish Charger 2. In less than a year the wrist band on the Charger 2 failed. After a big hassle with customer service a new band was sent. As for the other Surge watch (purchase price $250) purchased two and a half years ago, the wrist band recently broke. To my dismay I discovered that the wrist band on this model can not be replaced. The watch needs to be trashed. I intend to send it to Mr. Park, CEO of the company. Based upon my experience, and upon reading many of the consumer complaints posted on this website, I suspect that Fitbit is producing a product with an inherently defective wrist band inasmuch as so many seem to be breaking. What use is a $250 fitness watch that can not be worn? It seems so easy to design a watch with an inexpensive removable and replaceable wrist band. In fact the simpler the band is the more reliable it will likely be. This would lead to many more happy consumers. Folks purchase this product not for the wristband but for the fitness electronics that go into the watch. I was a very happy customer of Fitbit until these “wristband problems” developed. I am finished with Fitbit. I do not know if their stock is publically traded, but if I had any I would sell it tomorrow. The customer service was almost pitiful. The representative offered me a 25% discount on a new watch (but not the new Surge), and a free one year membership to a fitness website that I have no idea what it would do. Because of the high cost of these products I have, with the assistance of customer service, resurrected the other Surge watch and will use it until the band breaks, and then I will move on to another manufacturer. We bought each other fitbits for Christmas in 2015…both needed to be replaced within the 1st year…my husbands 2nd one stopped working a week ago…called, 1st call went to Ken in Asia.Phillipines and we asked to speak with a manager (Eduardo in El Salvador) because the warranty only extends to the life of the original purchase…so, 3 out of 4 do not work and we have been offered a “discount” on our next purchase…we are in our 60’s and 70’s, so we are not pounding up and down mountains or on a track…this is a dismal standard for customer service and product warranty…beware…I kept asking for contact information for their corporate headquarters…Asia does not have that information to share with customers, nor does El Salvador…beware…do not waste your money or your time…this company should be ashamed! The details are available on the corporate website, please try there. PATHETIC. I was mugged. With my purse, my Fitbit was stolen, and they won’t replace it. Because they say that warranty doesn’t cover loss or theft. And they should know, they’re experts at the latter, since they just stole over $100 from me and now they’re doing away with it without the most minimal effort even. That’s the type of “honest” company you’re dealing with. You’ve got to be kidding. The company who produces a product you purchase is in no way responsible for the theft of said product. You’re insane. Now however the battery gets fully charged in the morning and shows a clear RED battery charge at night!!!! Same problem Re: Charging except mine is with Fitbit One. I’ve spoken to at least 5 people but no success. Was told to restart device but didn’t fix it. Also told to update app because it was an app problem. Did that but it still didn’t correct problem of having to charge device EVERY 3-4 days. Terribly inconvenient!! I’m writing again with the concern this time I have not heard from anyone regarding my issue with My Fitbit Charge HR…. No one has contacted to whether to say “Sorry Charlie” or how can we make the issue better. I am a faithful owner and user of my Charge HR. But without the backing of the watch the watch will not charge and therefore isn’t working. I would appreciate if someone would contact me immediately to discuss my issue and not just offer me 25% off a new watch when this is a manufacture defect issue. My Charge HR started coming apart on Saturday July 22nd. I contacted Fitbit to see what to do about it. I was asked when and where I purchased it. I was not really sure as I have been wearing Fitbit for several years. I found my invoice from Amazon and the purchase date was 7/20/16, a few days after the 1 year. After several emails I was told my tracker was synced on July 25 so it fell into the 1 year warranty period. I am so happy and should recieve my new tracker soon. Great customer service from Maynor. Thank you Fitbit! I am on my second Charge HR. BOTH watches the backing falls off and it can’t just be snapped back into place. On both of the watches the backing has fallen/broken off in less than a year. Today I contacted Fitbit and was told basically “sorry you have to buy a new one.” This is a PRODUCT DEFECT not sometime I did or even wear and tear. The Chat service guy didn’t show any concern or consideration other than “here’s what I can do 25% off and a trial premium membership” I want a replacement for what the guy says has been improved but I need to but it. I am asking Fitbit to replace a product they sent to me that was defected. Again neither watch lasted a year. The guy David I chatted with did nothing absolutely nothing to make me feeling like an appreciated customer but he sure made me feel like an unappreciated customer. Again, both watches the backing has fallen off and without the backing the side button to use the tracker isn’t accessible for use. I have experienced the very same problems with my fit-bit as did Elena Esparza. With my fit bit–both with the original and replacement, the band on both bubbled to a point where they were an embarrassment to wear. Like Elena’s fitbit, my backing also fell off. and won’t re-attach, plus the rest of the band near the watch components is lifting. I too contacted Customer Service..only to be told the warranty covered only the original fit-bit purchased..and not the replacement. Both of these fit-bits came apart with-in a year. This Fit-bit was the HR Charger model. To offer a 25% discount on another Fit-bit I purchase, is a sorry excuse to compensate me for a defective product..as if I’m the one to blame for it falling apart!! These defects are all FIT-BITS PROBLEM!!. I feel they should own up to manufacturing such a poor product..which then they sell to the public at such a ridiculous high cost! I love the Fitbit Alta except for one main problem. Ever since i got it, it falls off very easily. The 2 prongs that secure it in place to the rubber wrist band don’t secure it very well. i take special care to make sure it it attached properly, but the slightest snag or pull from my purse strap or dog leash or contact with something, sends it falling off. I was riding a horse and someone on the trail found it before I got back to the stable. Needless to say, 3 days ago it fell off while I was walking my dog and i didn’t notice that it was missing till I got home. II was very unhappy about loosing it. Wondering if this is a constant complaint on the overall product? I have some friends and co-workers that have also mentioned loosing theirs the same way. It just pops off and the prongs are not secure enough. On my 2nd Fit Bit Charge in just over a year. Both have fallen apart and died. A 3rd one was sent out to me. I have no faith in this product anymore. The solution? Pay another $100 plus tax to get the updated Fit Bit Alta that supposedly doesn’t fall apart. Seriously? I have to pay more money to get a reliable product? Or keep getting the same piece of garbage sent out as a “replacement”? Oh, and the best part? I get to pay $100 as a 50% discount of the $200 (CDN) but it’s on sale on their own website for $179. The reason? They will only give 1/2 off the regular price. Seems like a giant scam to me. And don’t get me started on their Customer Support. I went back and forth for 90 minutes on their Chat Line with no less than 6 people. Apparently if they didn’t want to deal with me anymore they just dropped off and gave it to someone else so I had to explain the entire thing all over again. SO FRUSTRATING DEALING WITH THIS COMPANY!!! I’m on my 5th zip in 5 months, and 10 batteries. I’ve talked back and forth with customer service. They are super nice, but not actually helpful. About to give up on the whole idea, even though I’ve increased my exercise this way more than any other method. I wrote to you on Sunday afternoon, about getting 10 Fitbit as a donation for Special Olympics fit 5 group! I’m not sure if you read the email or just delete it…. So again I’m writing to you about making a difference in your day which would start today!! Yes you can even join are club if you like to? I know that I probably could get into trouble with Special Olympics for asking you for 10 free Fitbit’s!!! I just don’t know how to pay for them!! We all don’t make that much money 💰 in a week! I could work at one of your plants until they are all payed off??? That’s all I could do!!! So could you please give us a chance to prove are self to you? Because I really would love to give each of our members one of these… Just to show them that I mean business about getting into shape and too prove to my peirs that I know what l’m know what I’m doing!! So could you please help me out with this or not? I didn’t know that you have so many places of business around the world 🌎 as I’m writing this letter to you!! You really have proved your self to the world 🌎 and your family that you could do this!!!! I wish that I could meet you and your team because in my eyes 👀 your famous!! I can give you my information about me? If you like to give us 10 Free Fitbit’s? Thanks so much for listening to me and if we’re lucky 🍀 enough to get 10 of your Fitbit’s and I’m willing to work for you until they are payed off!!! Just please think 💭 about it before you say NO!!!!! Good morning hope you are well.. so I save my money to buy a Fitbit for myself for Mother’s Day last year.. I just loved it…all of the sudden the calorie counter went out now I don’t think it’s working correctly! I dope with several people they said there’s went out around a years time.. I love this little thing now it’s not working so I’m without….I tried to bring back to Target they said NO they can’t return it….I’m so sad can’t afford another so I guess there is no Fitbit any more on my wrist!! Oh another story in the life af a 66 year old.. I just wish it would have lasted longer for the amount I paid.. I received a fitbit charge HR as a Mothers Day gift in May 2015. While wearing it has certainly inspired me to exercise more, I have experienced several problems with the merchandise and have received virtually no support from their help desk. About two months after receiving the gift, I attempted an offered update. The update was a complete failure and my Fitbit was out of commission for several weeks before the help desk finally was able to assist me with completing the update. Since that time I have resisted attempting any additionally updates until two weeks ago when I foolishly attempted the current one. Of course, it failed again. At first a picture of what looked like a charging battery appeared on the screen then the screen went completely dark never to be used again. We contacted the customer help desk and they too failed in their attempts to revive the equipment. After just 20 months of using the device, it is now totally useless to me. Customer Service contacted me and offered a 25% discount on a new Fitbit. That is totally unacceptable to me. 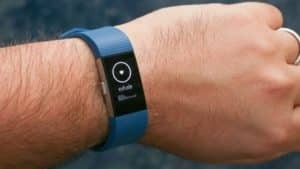 Why should I have to contribute another $100.00 to Fitbit’s profits when it was the Company’s fault that the equipment failed. Prior to the attempted update, the device was working fine! Fitbit needs to mail me a new device asap! Lesson learned here, never attempt one of their inept updates!! The watchband on my Surge has broken!! I contacted your No Customer Service department by phone and through chat only to be informed there is nothing that can be done about it because it is beyond warranty. Obviously from the number of complaints you have received about the bands you should realize you have a manufacturing defect with the bands and should try something different. It is a shame to spend over $200 for a watch that just tears up like I purchase it from a dollar store!! I guess your company will do something once a class action is filed!!! I had my Surge replaced under warranty in 2016 due to a water issue. Less than one year later the band of the new Surge is bubbled and pealing up. When I called customer service they refused to replace stating that their was no warranty that it only applies to the original purchase item. I feel if you pay $249 for a watch that it should hold up better than that each one did not even last a year. I was offered a 20% discount to purchase a new item but to be honest why would I support a company that will not even back their own product. I would not recommend Fitbit to anyone just for that reason. I have seen numerous complaints on the device bands so I am not sure why your company will not stand behind its product. I have owned a Fitbit since they came out and the very first one they recalled due to a band issue that is why I continued to upgrade because in the past you had excellent customer service. I really hope you all change to the way you use to be. I too have had the same problems as some of the people who have written complaints concerning their Fitbit. I have a Charge as does my son. We both received them for Christmas and almost to the day they both failed. I emailed Fitbit and they replaced them both. I was quite impressed!! I am no longer impressed. Close to a year later after the replacement, both Fitbits have problems and they are unusable. I have been told they will not replace them under the warranty because the warranty only applies to the original Fitbit! They offer me a 25% discount. I expect something I spent $100 on to last much longer than a year. I am quite surprised the warranty does not apply to the replacement Fitbit. They must think their customers are fools, if they feel their policy is a fair one. I certainly will not buy another Fitbit. Totally agree with everything stated above. I have purchased two Fitbit and both have only lasted a few months over the warranty. As stated above, I was only offered 25% discount. Having spent nearly $300 0n these products my expectations would be for it to have a much longer lifecycle. I bought a Fitbit Charger HR December 18 2015. After 10 months the plastic covering the display and wrapping around to the charging area split apart at a seam. Since it was under warranty, Fitbit replaced it. Now 2 months later while on vacation in Hawaii it happened again. While I will be getting another replacement since the 1 year warranty is not up, if and when this happens again, the warranty will be up and I will be out of luck. Obviously this is a design problem that is not being fixed. If you feel your product is good, the 1 year warranty should be extended on the new replacement product. I love my fitbit, but if it happens again, I would have to be stupid to invest in a new one and will find a better designed product. Not at all happy with the company. I purchased my Fitbit back in 6/2015 and by November 2015 started experiencing battery issues. Fitbit did replace my device and now a year later, the same issue with a malfunctioning battery. Talked with customer service today and asked to have a replacement battery sent but was told no. Spoke with the supervisor and was told the same thing. I was offered a 25% discount to purchase a new one. I’m not interested in purchasing a new one. I just want a product that will last more than a year. It’s their poor workmanship and they should replace it. I would love for someone from HQ to reach out to me. Thank you. It SEEMS that I am experiencing the SAME frustration that MANY other FITBIT users are having after reading of the problems they are experiencing with the band issues and dealing with the “OFFSHORE” Customer Service (HA! HA!) department!!!!!! I purchased a FITBIT Surge for myself and the FITBIT Charges for two of my Granddaughters. We have the deteriorating band problem with ALL of the devices. Dealing with the C/S on Saturday evening was a nightmare!!! I dealt with New Delhi, India, Manila, Philippines, AND El Salvador. Nothing against our friends across the BIG WATERS but they did not resolve my problems. TODAY (November 7. 2016) is my Granddaughter’s birthday and I guess we will have to go with another product. NEVER have I EVER seen a company (of THIS size) that you could not speak with SOMEONE at their Corporate offices. GUESS it says something about their lack of their C/S and wanting to deal with their CUSTOMERS!!!! THIS will make for GREAT conversation at my local YMCA, soccer fields, gym and my Grandkids schools. I had a similar problemafter being a loyalcustomer for 8 years. I switched to Samsung Gearfit 2 and my daughters switched to Garmin products. Highly recommend switching. Fitbit no longer produces durable products and no longer has good customer service. Received a Fitbit chargeHR as a gift. The band failed in a few months and was replaced by support staff. Now the replacement Fitbit has failed after about 6 months and I was just offered a coupon for a slight discount on a new device. I purchased 3 Fitbit for gifts. I use my device for my diabetic exercise program and have taken perfect care of it. I am so very disappointed in your company and will spread the word as far and wide as I can about your terrible service. I saw a report on the news yesterday that your sales are down and so is the stock price. Social media tells me that you do not offer customer service anymore. I will be looking for another more reliable brand. Switch to Samsung Gearfit 2. Much friendlier customer service. Much more responsive. Much nicer device for a better price. Horrible customer service. Fitbit one not syncing properly. Inaccurate information or incomplete information if it even syncs at all. Emailed from the app (so I have no copy of my own initial email) ~ after the first reply saying they will get back to you ~ they don’t get back to you. All calls go “off shore” to girls that make you go ROUND AND ROUND AND ROUND as they constantly make you repeat yourself as THEY repeat everything you say. It’s very similar to banging your head on a wall. They “create a case number” to be sent to the next level of support (for which they have no way of connecting you) and say they will call back the next day. I call back 2 hours later because (due to extreme frustration and headaches of previous call) I forgot to mention some of the other issues, only to learn THERE IS NO CASE NUMBER!!!!!!! HOW DOES ONE GET A PROBLEM SOLVED??? Maybe the question of the year is CAN YOU GET A PROBLEM SOLVED??? This is about the fit bit I ordered on JUly 11, 2016, when we recieved it was supposed to be blue but it was black so I sent it back,talked to your customer service which was no help very bad customer service. Since there are no fitbits that we need tried to get my money back only to find out it will another 7 to 10 days? I also have a fit bit this would be number 5 that i have purchased want my money back so i can purchase a different brand, since your customer service is becoming so bad good way to loose customers! I attempted to reach Fitbit to discuss a common problem of a green LED on the Surge. I got ahold of someone in “Central America” (they can’t say what country for security reasons), they have no phone number (for security reasons), they can’t give you a phone number for Fitbit in the US (for security reasons), they can’t give you their name (for security reasons). They will, however, take my name, phone number, address, and serial number of the Surge and have someone contact me (they can’t tell me how I will be contacted for security reasons). We have added an updated phone number for their headquarters in San Francisco. Yeah, where “security” means “the way to cover our rear end for being such a poor excuse for customer service” so you can’t come after us and stayed screwed. 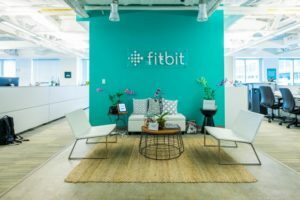 Want to make sure FITBIT sees your comment or complaint?